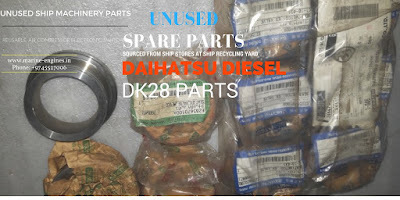 We maintain regular stocks for used and unused spare parts for Daihatsu 5DK20 and Daihatsu 6DK20 Engines. Other major and minor parts also available. For more details, do contact us with details of your requirement. ROCKER ARM BUSH C. I. 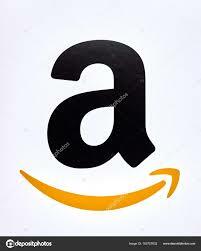 These are few item list mentioned here. Interested clients send their required parts list. 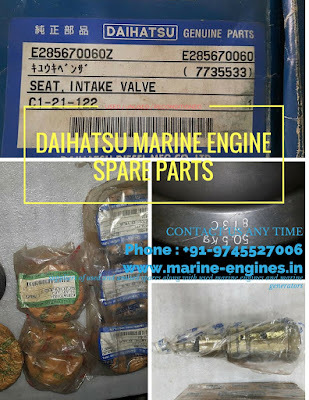 Spare Parts for Daihatsu Marine Engine and Generators. These are unused genuine (surplus) parts sourced from ship stores of the ship got dismantled at ship breaking yards. If you didn't get what you looking for, kindly do write to us, we will try to source and supply you. 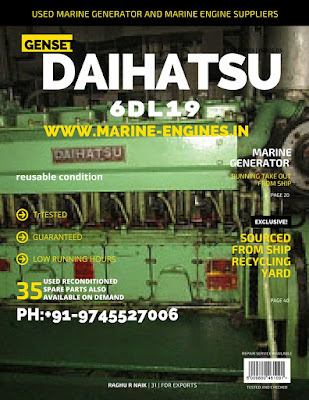 Currently 2 Nos used Daihat su engines with gearbox are available in stock and are subjected to being unsold. Both engines can be directly installed. For more details on price and availability do write to us. Freight Charges will be extra and as actual. Removed from ship in running condition. 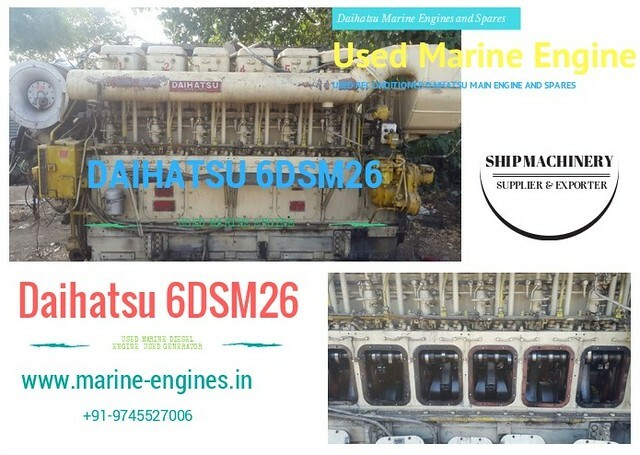 If interested on auxiliary engine also can be supplied. 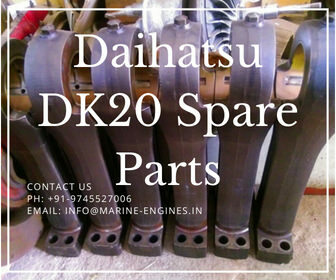 Major used and reconditioned spare parts for Daihatsu 6DL24 is also available. 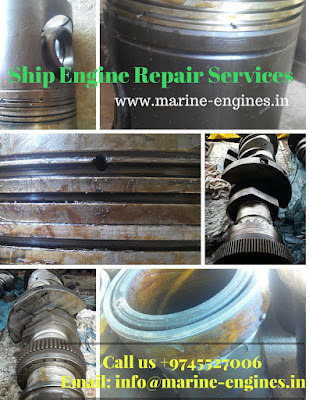 We offer complete range of Ship Repair Services at major and minor port in India & Worldwide locations . The Spare Parts are in excellent condition and are OEM and 100% reliable and genuine used parts. Parts which are unused are also available along with recondition parts. The Spare Parts or complete engine installations and Repair Team are also available. These teams are mostly crew which already have worked on board ships and are having tremendous experience in the field. 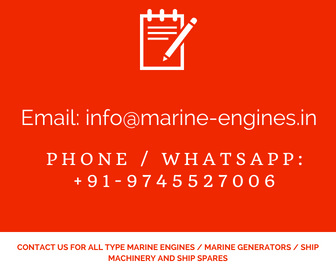 We supply and provide complete services for installation and repairs of engine room machinery like main engine parts and repairs, pumps, compressors, purifiers etc. Spares Parts and repairs works for deck and bridge are also available. The spares and repair team is made available at short notice of with in 24 hrs to 3 days and capable of working on board. 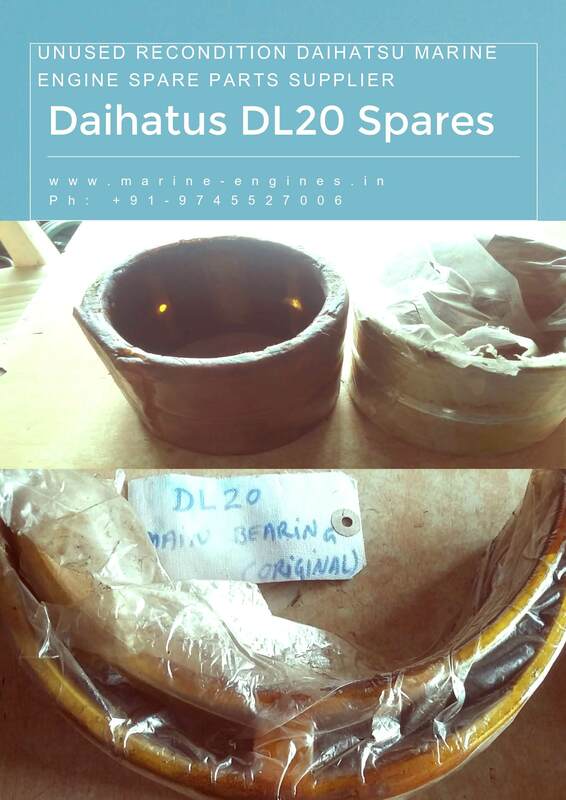 We are service providers for supply of Ship Spare parts along with Repair Team. The repair team are experience and helps the ship owner to select the correct part with best competitive price . 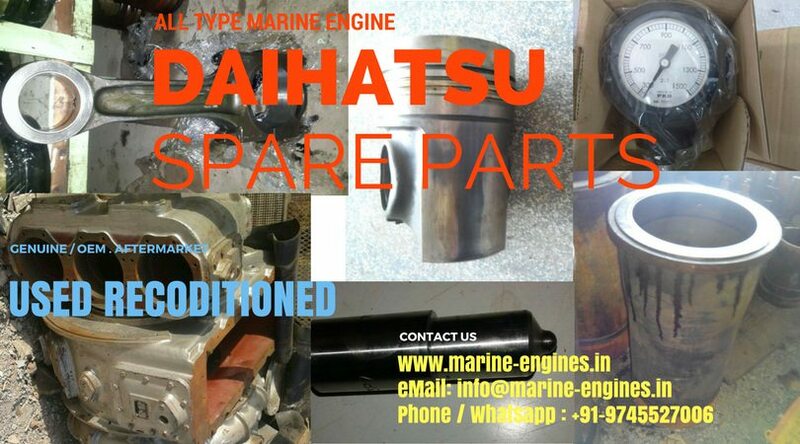 The correct and reliable spare parts maintain the ship equipments and engines sea worthiness. Our speciality is delivery of the right spare parts and timely visit of repair team. We ensure cost effective and reliable solution are made available for our client. The generator is ready for delivery. Interested clients do contact us for more details on price and availability. 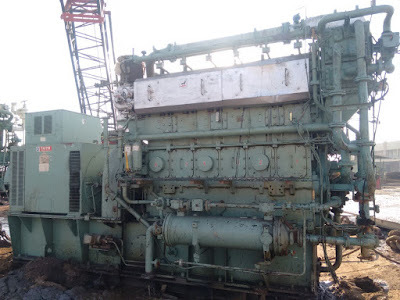 The genset is reusable and in working condition. Required top to end cleaning and servicing will be done before dispatch. If required the complete genset can be repainted on demand.